The interactive doodle features an animated singing cartoon of Selena and plays her hit "Bidi Bidi Bom Bom"
Google is paying tribute to the music and legacy of late Tejano singer Selena Quintanilla on the anniversary of her first studio album release. The search engine giant is honoring the "Queen of Tejano music" with a special Google doodle to commemorate "Selena," the star's debut album released on October 17, 1989. The interactive doodle features an animated singing cartoon of Selena and plays her hit "Bidi Bidi Bom Bom." Tuesday's doodle was conceived by Perla Campos, Google's global marketing lead for its daily doodles. In a blog post, Campos, who, like Selena, grew up in a household of Mexican immigrants in Texas, wrote that she was "profoundly influenced" by the singer. "Aside from incredible dance moves and how to belt some serious notes, watching Selena taught me that being Latina was a powerful thing, and that with hard work and focus I could do whatever I set my mind to," Campos wrote. "Watching her showed me that this hybrid cultural identity of mine was a valuable gift I should embrace. Watching her made me proud of being Mexicana." "Google came to us with this idea of telling a story. The little girl who had a dream and she became who she became. They already had the content pretty much done, but they knew that family was everything," Suzette Quintanilla told Billbord. "The little details I gave... That Selena had red nail polish on instead of bright pink. That she had hoop earrings. They even put red on the microphone the way she used to have it." Selena was murdered at age 23 in 1995 by the former president of her fan club. Her fifth studio album, "Dreaming of You," was released posthumously in July 1995 and became her first number 1 album on the Billboard 200 chart. Jennifer Lopez played Selena Quintanilla in a 1997 biopic about her rise to fame and death. 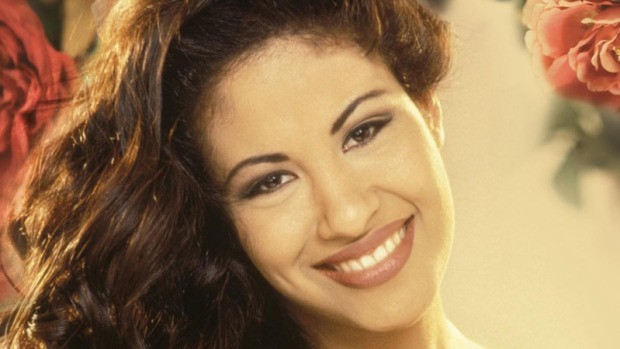 "Today we celebrate Selena Quintanilla: Mexican-American music and entertainment icon, fashion trendsetter, passionate entrepreneur, community philanthropist, and one of the people who taught me growing up that no matter who you are or where you come from, anything is possible," Campos said.